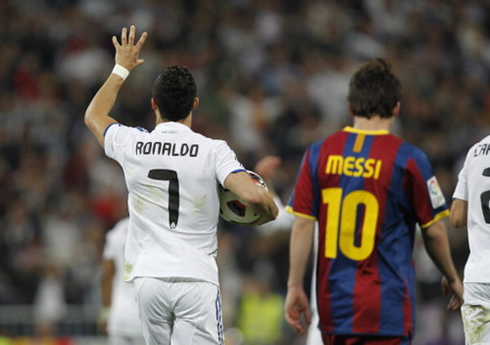 ﻿ Cristiano Ronaldo: "I respect Messi but we're not personal friends"
05.11.2012 » Cristiano Ronaldo: "I respect Messi but we're not personal friends"
A lot keeps being said and speculated about Cristiano Ronaldo and Lionel Mess, but the truth is that both of them seem to have learned to ignore most of it. 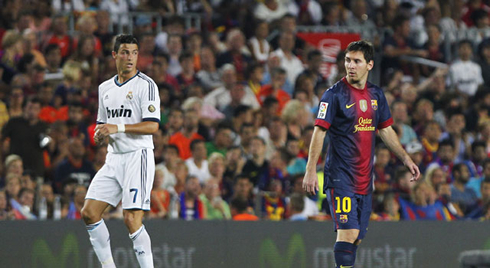 The Real Madrid superstar pointed out that he can't control what the media say on this rivalry and that he respects Messi as a professional player, even though they are not friends in real life. 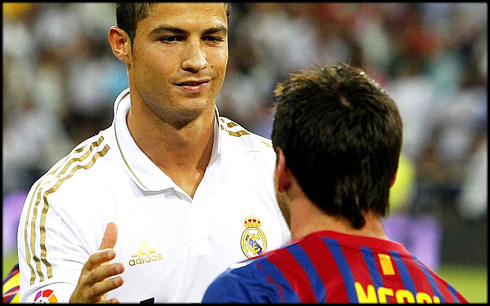 Cristiano Ronaldo answered a few questions in a quick interview granted to "beIN Sport", America's new international sports channel, and the short talk has inevitably been about his competition and relationship with Barcelona's Argentinian idol, Lionel Messi. 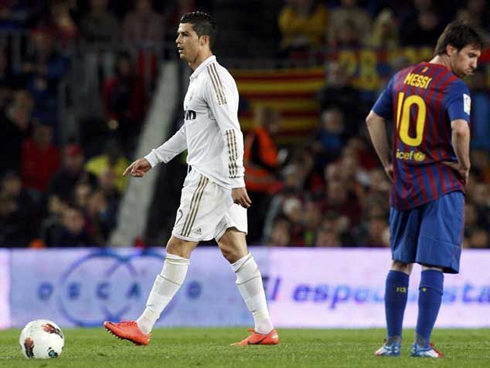 Very few times in the past of this sport have two players of this caliber clashed in such a proeminent and immense manner, but Ronaldo assured he remains concentrated on what really matters, which is to always give his best in training and games. 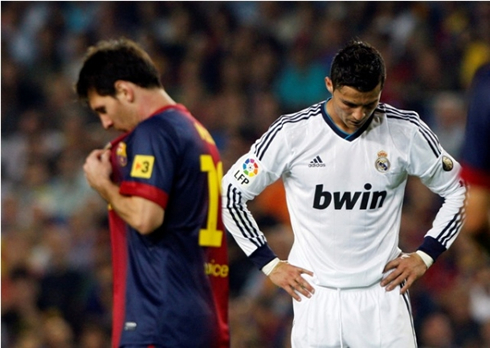 Even though "beIN Sport" questions have been omitted on purpose, it's easy to understand that was prepared to be asked to Ronaldo had Messi's name involved all over it. The Portuguese ace didn't hide his game and replied with honesty as he revealed his views on the topic. 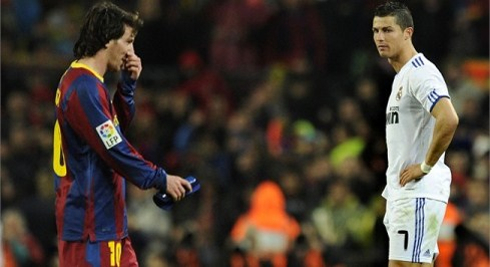 Cristiano Ronaldo: "It's not just now, it has been going for the last five years and it's always the same...", started by noting CR7, about the constant media attention and comparisons drawn between him and Messi. 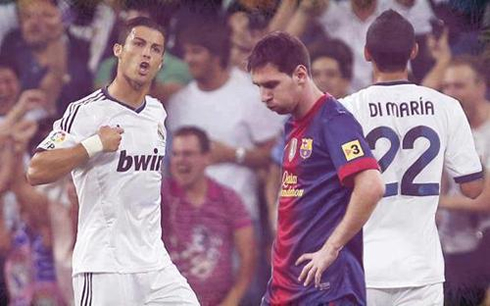 Ronaldo: "What can I do? I can't change that... I don't work in the press, neither on Television, so I cannot control it. They just love to insist on this!" However, the 27-years old forward is aware of the importance of not letting himself get distracted by what the newspapers talk about and prefers to focus on training and continuously develop his own skills. Ronaldo: "I just have to keep doing my job, which is to keep training, score goals and give my best for my team's needs. 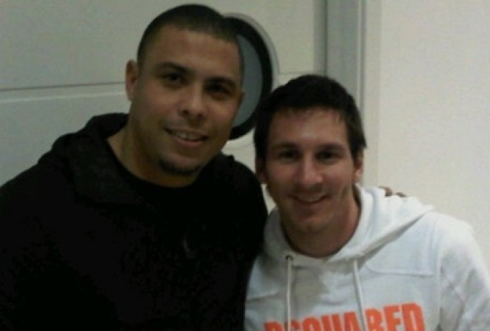 I simply can't afford to worry about what people say about me and Lionel Messi. 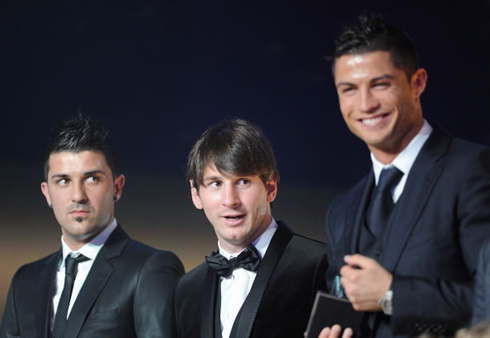 He's a great player, but the only relationship I have with him is a professional one, just like I have with plenty of other players", remarked the Portuguese star, just before explaining why he doesn't spend any time with Messi outside football pitches. 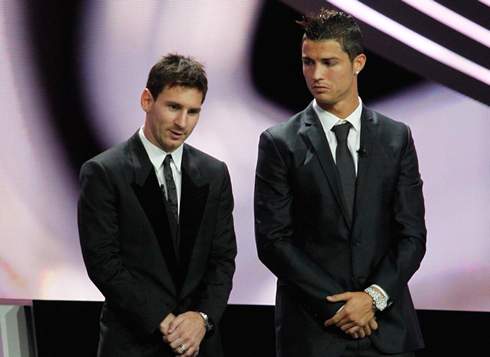 Cristiano Ronaldo: "I'm not a friend of Lionel Messi simply because we're not sharing the same dressing room, neither we do go out together for dinner, but I do respect him as a professional football player. It's just that it wouldn't make much sense to call us friends, because we're only "professional colleagues" due to our jobs, nothing more...", outlined Ronaldo. 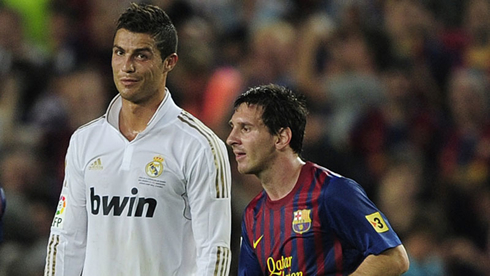 The following question had to do with Ronaldo's receptivity in case Lionel Messi was about to join his team. 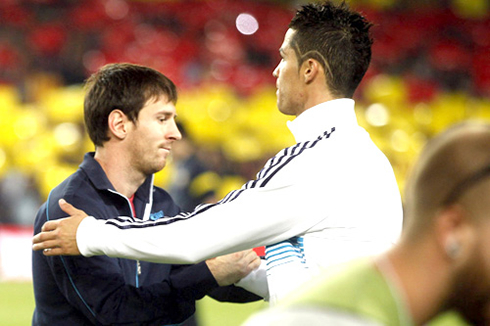 Ronaldo: "If he comes here, we can play together... [smiles] This would be something difficult to happen!". 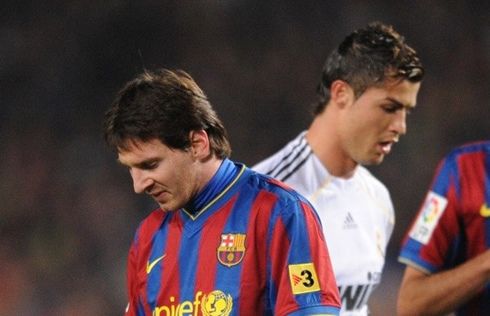 As for now, Ronaldo will try to get back to scoring this Tuesday night in Real Madrid v Borussia Dortmund, while Lionel Messi is also expected to be a starter when his team travels to Scotland on Wednesday, in a classic Celtic v Barcelona encounter. 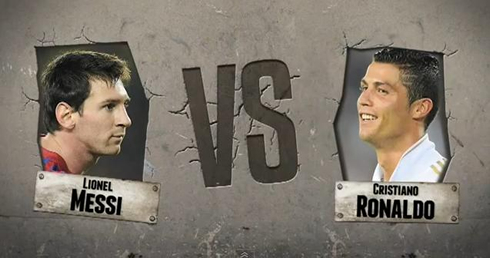 Both matches are fixtures part of the UEFA Champions League Matchday 4. 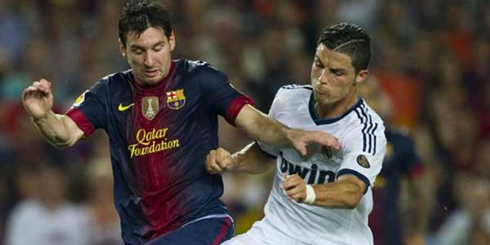 As a note of curiosity, Lionel Messi became a father this past Friday and once again, there has been a lot of buzz about one particularity related to the birth dates of Cristiano Ronaldo and Messi. The Argentinian's son is called Thiago Messi and was born on the 2nd of November 2012, precisely 869 days after Cristiano Ronaldo Junior's birth (17th of June 2010). On a first view, nothing unusual on this, but what's interesting and curious is that the fathers were born exactly with the same difference in days (869), since Messi's birthdate is on the 24th of June 1985 and Cristiano Ronaldo's birth was on the 5th of February 1987. 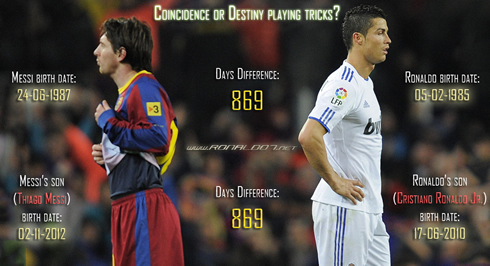 Coincidence or just fate playing tricks? Cristiano Ronaldo next game for Real Madrid will be against Borussia Dortmund, for the UEFA Champions League, this Tuesday night (06-10-2012). You can watch Juventus live stream, Real Madrid vs Borussia Dortmund, Milan vs Malaga, Braga vs Manchester United, and Schalke vs Arsenal, all matches provided from our soccer live section.